The private rented sector in Northampton has doubled in size over the past decade and now stands at almost 16,000 (18 per cent) of homes in the borough. The proposals would see a new approach to managing Houses in Multiple Occupation (HMOs), with a change in housing fees and charges policy. Responsible landlords would be offered ‘early bird’ discounts on fees and ensuring that the cost of enforcement is paid for by the offender, rather than by the taxpayer and responsible landlords. Landlords who fail to license an HMO on time would have to pay more for their licence and, when eventually issued, the council would have the power to issue a shorter licence lasting less than the standard term. Through the Empty Homes Programme, the council has seen empty buildings across the town converted into more than 30 new one and two-bedroom flats for affordable rents. 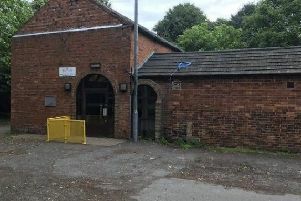 The proposed new enforcement policy would help the council tackle private housing that has been left empty for an “unreasonable” time or has become an eyesore and nuisance to neighbours. Councillor Mary Markham, leader of Northampton Borough Council, said: “Northampton is a growing town and, for the first time in decades, there are now more people living in the town’s private rented sector than are living in social housing. “As such, it is incredibly important for the council to do all it can to ensure that private rented accommodation is safe and fit for purpose. Cabinet will discuss the proposals when it meets on Wednesday 10 February at 6pm.